While using IE, Firefox or Opera you will see an icon on the tab when you visit a page.This is called favicon. Favicon is a small icon/picture (usually 16px x 16px in size) shown next to site URL in the address bar. In Blogger, by default orange colored blogger icon is shown as favicon which looks ugly and it is common also as lakhs of blogger blogs contain this. Also having your own favicon with a nice graphical reminder of your site beside is a good way to attract visitors attention. As you all know, Blogger has a new feature which allows you to change your blog's favicon without HTML coding (you still can use the codes if you want though). Click on the favicon Edit link usually present at the top left corner. Now hit "Choose File" button. Browse for your own image(should be less than 100 KB) and select it. Blogger will automatically re-size it,and finally hit the "Save" button. Now refresh your blog you will see your new favicon,If you can't then delete browsers cookies and caches then visit your blog. Here is another simple way to change your blog's favicon. Your new favicon should start appearing in some time. Well, some blogger, have been facing some trouble with their favicons because Blogger wouldn't show them at all or wouldn't update them to the new one. If the favicon on your Blogger blog does not update, make sure you clear all history from web browser and then check for it. Step 1: On the address bar, type http://[your blog url]/favicon.ico and press Enter. Step 2: Refresh the page. Step 3: Go back to your blog. Above http://www.URL.com is the web address or location where your favicon is stored (hosted). Replace URL OF YOUR ICON FILE with your own icon. Now save your template and you are done..
My blog is hosted at godaddy for a fee, so it is only fair I have a fav icon of my own. Will give this a try when I get back to my laptop. You have clearly mention in your both methods of favicon use. keep it up. I like your way to describe every points and i get a better knowledge to your post. Thanks for giving me a beautiful information..
Post this code to CSS, it will help you to invite friends directly with the code, as we do on our company'sEpic research blog. Favicon is an icon that represent company or brand, we can change it in HTML coding or from other tools also as shown by you in the post, Epic research do have their favicon in their blogs. 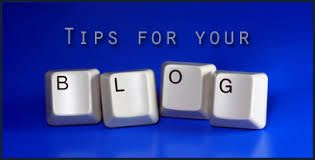 really nice information, thanks for sharing and don't forgot to visit my blog . Shared Web Hosting, so i follow your post.